Featuring free gourmet breakfast, the Grange B&B is housed in a Victorian mansion built in 1874. 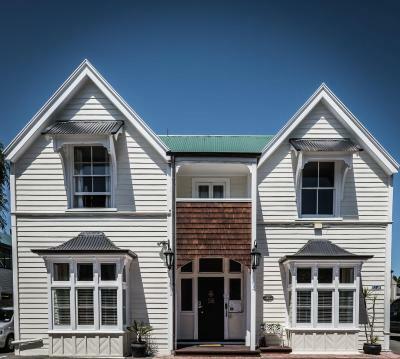 Conveniently located just 3 minutes’ drive from Christchurch International Airport, this motel offers a free shuttle service to and from the airport. All accommodation includes cable TV and electric blankets. 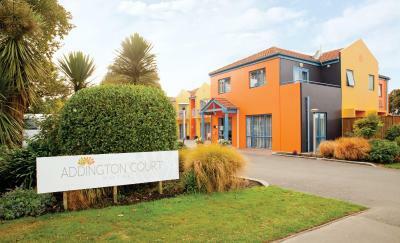 Just 5 minutes’ walk from both Horncastle Arena and Addington Raceway, Addington Court Motel features self-contained accommodation with free on-site parking and free WiFi. Barbecue facilities are available. Best Western Clyde on Riccarton is a 10-minute drive from the city centre and Christchurch International Airport. All rooms feature a patio and a kitchenette with a stove, a fridge and a microwave. Free WiFi is provided. Breakfast is included each morning at Eliza's Manor Boutique Hotel, with free high-speed internet access available on the guest computer. Relax outside in the private courtyard or enjoy a drink in the bar. Deans Bush Motel offers cable TV, electric blankets and tea/coffee making facilities in each unit. Just a 5-minute drive from Christchurch city centre, the motel provides free WiFi and on-site car parking. Located directly opposite the Riccarton Westfield Shopping Centre, Riccarton Mall Motel offers accommodation with cable TV, en suite bathroom, electric blankets and tea/coffee making facilities. All units at Motel Riccarton Mall are serviced daily. Ferry Motel, Christchurch, is located opposite the beautiful, historic, Edmonds Factory Garden, which has a children's playground. A 2-minute walk from Sumner Beach, Le Petit Hotel features free Wi-Fi access and laptops for guests’ use.